ItStyle Eye Liner Pencil - 1. Antra..
ItStyle Make Up Milano Eye Liner Pencil - Color 1. Antracite Description ..
ItStyle Long Lasting Lipstick -4. ..
ItStyle Make Up Milano Long Lasting Lipstick - Color 4. Light Pink Description ..
ItStyle Micro - Glitter Lipstick 03..
ItStyle Make Up Milano Micro - Glitter Lipstick 03. 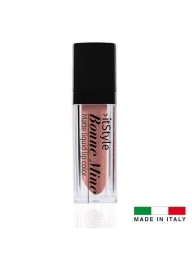 Peach Description ..
itStyle Bonne Mine Matte Liquid Lip Color – Milano Description: Matte liquid li..
ItStyle Liquid Lipstick Mat - 08. 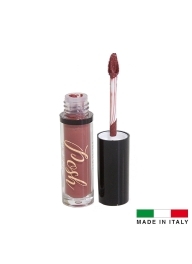 F..
ItStyle Make Up Milano Liquid Lipstick Mat - Color 8. Fuscia Description New liqu..
ItStyle Lipstick - 14. 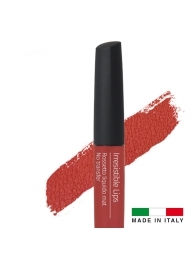 Ultra Red..
ItStyle Make Up Milano Lipstick - Color 14. Ultra Red Description Classic e..
ItStyle Long Lasting Lipstick - 5. ..
ItStyle Make Up Milano Long Lasting Lipstick - Color 5. Pink Description Lo..
ItStyle Long Lasting Lipstick - 8. 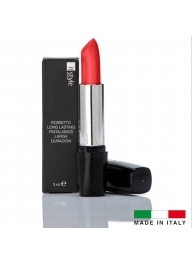 ..
ItStyle Make Up Milano Long Lasting Lipstick - 8. Wine Description Long las..
ItStyle Liquid Lipstick Mat - Colo..
ItStyle Make Up Milano Liquid Lipstick Mat - Color 4. Plum Description ..
ItStyle Make Up Milano 24H Luxury Kiss Lipstick - Color 1. Gold Brown Description ..
ItStyle Make Up Milano Anti-Aging Lip Balm Description Protective, anti-aging sti..
ItStyle Liquid Lipstick Mat - 06. 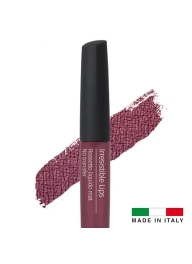 R..
ItStyle Make Up Milano Liquid Lipstick Mat - Color 6. Red Description New liquid ..
itStyle -Lip Pencil - RED..
itStyle -Lip Pencil - RED Description: Precise lip lining pencil. Easy to apply..
ItStyle Micro - Glitter Lipstick 06..
ItStyle Make Up Milano Micro - Glitter Lipstick 06. Brick Description ..
ItStyle Lipstick - 04. Shiny Pink..
ItStyle Make Up Milano Lipstick - Color 04. Shiny Pink Description Classic ..
itStyle Bonne Mine Matte Liquid Lip Color – Barcelona Description: Matte liquid..
itStyle -Automatic Lips Pencil - AM..
itStyle -Automatic Lips Pencil - AMARANTO Description: Automatic lip contour pencil w..
ItStyle Make Up Milano 24H Luxury Kiss Lipstick - Color 3. Bordeaux Description ..
itStyle -Lip Pencil- Fuchsia Description: Precise lip lining pencil. Easy to ap..